Hang on Meg, didn't you tell us you'd have one by mid-2014? A year and eight days ago, The Reg was in the room when HP CEO Meg Whitman promised the company would deliver a 3D printer that service providers could wield by the middle of 2014. On Wednesday the company made a lie of that claim by revealing the Multi Jet Fusion printer it says won't go on sale until 2016. The company's also keen on “fusing agents” and “detailing agents”. The former cause inks to bond together, the latter will be used “ where the fusing action needs to be reduced or amplified.” Detailing agents will therefore help to determine whether a printed object is rough or smooth to the touch. HP's also talking up the chance to print materials in which some regions are stiff and others are elastic. Multicoloured objects will be possible, as will opacity, different textures and even thermal or electric conductivity. The company even feels it may become possible to use ceramics or metals as “ink” in future models. 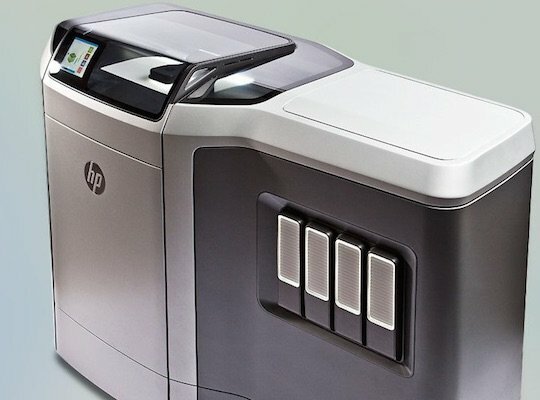 HP thinks that once its 3D printers come to market they'll be ten times speedier than current models, cheaper to operate and produce more detailed, more useful, objects. “We expect early customers to have access to printed parts and initial HP Multi Jet Fusion systems in 2015,” HP writes in this FAQ [PDF] and says it is “working to ramp towards full availability in 2016”.